Hosted by the McGill Dobson Centre for Entrepreneurship, the McGill X-1 Accelerator is an intensive 10-week summer program designed to accelerate early traction McGill startups towards investment readiness and launch. Getting our McGill startups venture-ready for Demo Days in Montreal, Boston, San Francisco, Toronto, and New York City, in the Fall of 2019. What are the benefits of joining the McGill X-1 Accelerator? Funding will be available for each eligible co-founder (up to a maximum of three) based on milestones achieved. Dedicated startup space all summer at McGill. World-class mentorship and resources to develop your skills and accelerate your startup towards investment readiness and launch. Pitch to investors at Demo Days in Montreal, Boston, San Francisco, Toronto and New York City. We’re looking for exceptional McGill founders with startups that demonstrate early traction with a Minimum Viable Product (MVP) and early customers and/or revenue. We’re in search of startups that can build their business upon a technology, science, or idea that will give them a significant or radically disruptive advantage compared to their peers. Your startup should have the potential for exponential growth to eventually serve global markets. You have a great team with at least one technical co-founder and a full-time commitment towards working on your startup for the summer between June 3 and August 9, 2019. You have not raised a significant amount of funding yet (under $250K) but will be using the summer months to accelerate the growth of your company towards a round of significant funding in the Fall. Do you take any equity? No. The McGill X-1 resources and milestone funding money is granted with no equity attached. How many people can be on my team? Teams are made of two to five members and are all founder-level participants, with at least one technical co-founder. On my application, what if I don't know what to put for my team's milestones? We're looking for you to take a first stab at defining milestones so we get a better sense of where your team is, and where you think your team can be by the end of the McGill X-1 Accelerator program. If you are selected, it’s likely that your initial milestones will change as you iterate through the program and its advisory board meetings. Do all of my team members have to be current McGill students? 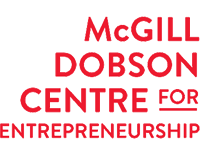 We are primarily focused on accelerating McGill students’ abilities and practical skills for entrepreneurship. At least one participant should have a McGill affiliation (student, alumni, faculty, or staff). If the only affiliation is a McGill alumnus, they should have graduated from McGill no more than 5 years ago. How many teams will you accept for the McGill X-1? We expect to select 6-10 teams for the 2019 cohort. The McGill X-1 organizing team has full discretion over the number of teams selected. All decisions are final. What is required of my team once I am in the accelerator? We are looking for McGill startup teams that are able to work on their startup full-time in Montreal from June 3 to August 9, 2019. Selected teams will be expected to collaborate with the other teams in the McGill X-1 Accelerator program by working primarily out of the McGill Dobson Centre for Entrepreneurship summer space. Team members are expected to engage in the McGill X-1 Accelerator’s extracurricular activities and actively share learnings with other founders in the program. Teams are also required to attend and pitch at the Montreal Demo Day and the selected Demo Day cities in Fall 2019. Very modest funding will be provided per team to travel to the selected cities.